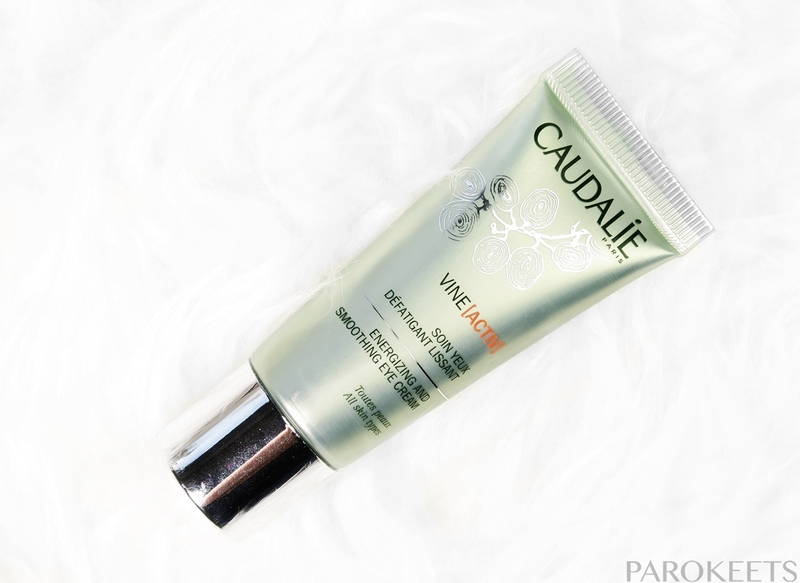 Caudalie skincare was not a love at first sight. Ingredient wise it didn’t stand out and looked pretty average to me. I only bought and tried out few of their products because all my friends raved about the brand. Result – I liked one less than other. In case you are not familiar with Caudalie – French winery family branched out into skincare cosmetics so everything revolves around grapes and wine. Products are made in France from their “wine” leftovers so their brand does appeal the geographer in me. As sustainability is dear to me, I gave them one last shoot. BBMU II was it. I talked to their cosmetologist at our main beauty blogger conference and she told me right away that I seriously strayed from the products she would have chosen for my skin-type. Oversensitive, dehydrated and oily skin requires more that 5 minute consult, so she invited me to their salon for a treatment. Beautician Petra gave off good vibes at our first meeting so I relaxed and let her do her magic. She tried out glycolic acid, masks … but the grape water … completely won me over. WOW – refreshing, but slightly nourishing and kind of locks water into the skin. Bonus points – it is not perfumed. Rich in moisturizing polysaccharides, mineral salts, and potassium, Grape Water has an intense hydrating ability to retain water and support skin’s hydro-lipid barrier. !IMPORTANT! – grape water is NOT their cult Beauty Elixir. Elixir contains essential oils and lots of alcohol which makes it complete unsuitable for my sensitive skin. I dislike Elixir, but I do see why people love it – it gives longer staying power to makeup than most of the fix sprays out there. Plus it has one of the finest mists out there. I do feel that eye creams are needed in my skincare routine. They have to maintain higher standard that regular creams and difference if noticeably when you have as problematic eyes as I have. But finding one that actually does something more, now that is the challenge. VineActive cream did not promise to be revolutionary if you judge it by ingredients, but quickly became regular in my routine. Main problem in explaining what it does. Concealer is easier to apply over it, doesn’t get so much into the wrinkles and glides on. INCI: water, glycerin*, butylene glycol, isononyl isononanoate, caprylic/capric triglyceride*, cetearyl alcohol*, hydrogenated vegetable oil*, peg-20 stearate, cetyl alcohol*, tocopheryl acetate*, palmitoyl grape seed extract*, carbomer, ethylhexylglycerin, arginine*, cyathea cumingii leaf extract*, escin*, ammonium glycyrrhizate*, caprylyl glycol, hamamelis virginiana (witch hazel) leaf extract*, calendula officinalis flower extract*, xanthan gum, picea abies extract*, tocopherol*, helianthus annuus (sunflower) seed oil*, ascorbyl tetraisopalmitate, sodium phytate*, polysorbate 20, glyceryl caprylate*, cinnamic acid*, levulinic acid*, sodium levulinate*, palmitoyl tripeptide-1, palmitoyl tetrapeptide-7, citric acid* (194/002 ) *. plant origin. When Europeans try to make essences, it usually does not end well. Caudalie description drew me in and it even looked promising INCI wise, but I was in the middle of moving and simply did not have the time or energy to look it up. I lived out of the boxes for the better part of the summer, so I was not really consistent with my skincare. But Caudalie Essence was the one product that came to the rescue in the time of need – as toner and lightweight serum at the same time. It does have watery like consistency, but also nourishing touch to it. Perhaps thanks to the glycolic acid? I do not have feedback on whitening effect as I did not use it regularly for long period of time. What I can tell you is that pores look kind of blurred and whole complexion is more unified. In the summer time I poured essence onto the cotton pad, but I apply it directly onto my face now as the heating period is already here. MANDATORY STEP – shake before use. INCI: water, vitis vinifera (grape) fruit water*, citrus aurantium amara (bitter orange) flower water*, glycerin*, methylpropanediol, glycolic acid, sodium hydroxide, vitis vinifera (grape) juice*, caprylyl glycol, citric acid*, arginine, sodium benzoate, paeonia lactiflora root extract*, phenylpropanol, potassium sorbate, sodium phytate*, linalool, limonene. What can I say – Caudalie still fascinates me. Why does it work so well even when ingredients are not that hot? Are polyphenols and minerals from grapes the answer? 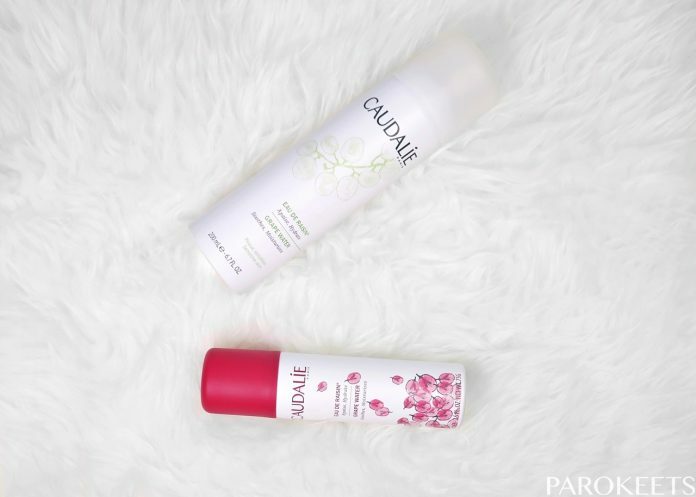 Do you have favorite Caudalie product? Anyone tried Premier Cru The Eye Cream? Next articleGOSH cosmetics once again available in Slovenia!